Cris Carter or Graduel Christopher Darin was born on 25 November 1965. He is known as the former American football player. He was also in the National Football League. He attained the position of wide receiver for the Philadelphia Eagles (1987-1989), also for the Minnesota Vikings (1990-2001) and also for the Miami Dolphins (2002). He started at first for the Ohio State University Buckeyes. After that, he was drafted by the Eagles in the 1987 NFL supplemental draft in the fourth round. Carter was guided by the dead coach in Philadelphia. As a result of his astonishing playing, he coined one of the best quotes from ESPN’s Chris Berman which cited that “All he does is catch touchdown passes”. But because of the off-the-field issues carter was left by Ryan in 1989. Later he was signed by the Vikings. Then came the time his career spun, becoming a two-time first team and one-time second team All-Pro and playing in eight consecutive Pro Bowls. He left the Vikings in 2001 and briefly played for the Dolphins just before retiring in 2002. 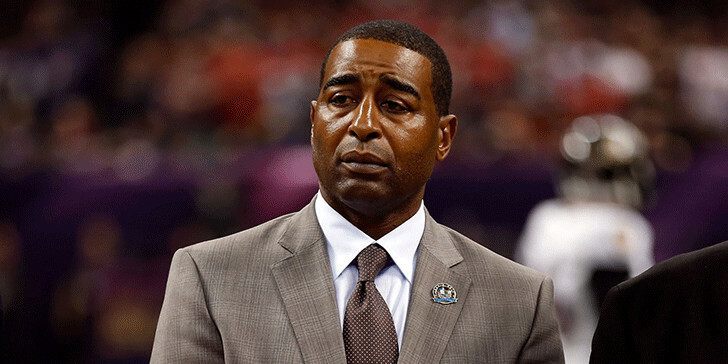 After retiring, Cris Carter has worked for HBO and ESPN as an analyst. He also is an assistant coach at St. Thomas Aquinas High School. Carter lives in Boca Raton, Florida and is also the brother of the former NBA player Butch Carter. Till date, he is the only player to have been drafted in the Supplemental draft. After that, he was eventually been elected to the Hall of Fame. Talking about his childhood,Carter spent his early days in Troy, Ohio before moving to Middletown, Ohio with his mother, brothers, and sisters. He was named after his grandfather Gradual, but he dropped his birth name and changed it to Cris while he was in 7th grade as Cris Collinsworth has suggested him that he would never be famous with the name Gradeul. He has not revealed much about his personal life in the media. His son Durion carter, played wide receiver in Ohio state and also in Coffeyville Community College. He also spoke at the 2014 NFL rookie symposium, where players got encouraged to get a fall guy upon whom they can take the blame.